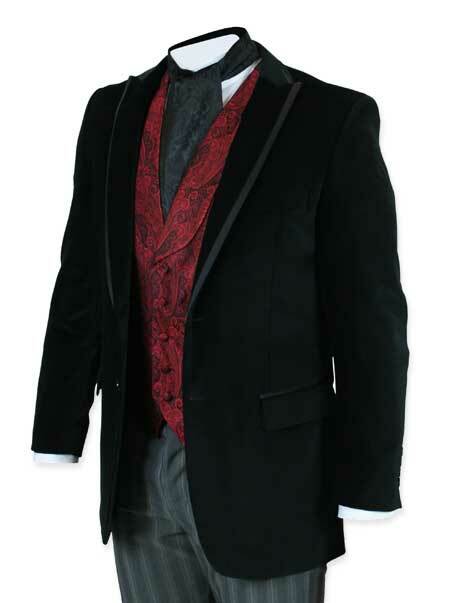 Whether lounging with your mates and debating philosophical issues or impressing the ladies with your savoir faire our Gatsby Smoking Jacket is the perfect choice. Spend the evening with a snifter of brandy in hand, bantering about reality, existence, knowledge, and other philosophical issues with your cadre of colleagues. Crafted from plush black velvet in 100% cotton with a fully-lined interior in silver paisley acetate.